Get free EasyGallery installation and a smooth running site by choosing the right foundation, and say goodbye to file upload problems, permissions issues and other EasyGallery hosting compatibility headaches! It just requires several click on your mouse and moreover, it is provided FREE of charge! What is European EasyGallery Hosting? EasyGallery is a very easy way to generate thumbnail galleries. All you need is a folder of images. Why Choose HostForLIFE.eu for European EasyGallery Hosting? HostForLIFE.eu guarantees the highest quality product, top security, and unshakeable reliability. We carefully chose high-quality servers, networking, and infrastructure equipment to ensure the utmost reliability. We hired an army of the best technicians, managers & web hosting gurus. That means clear, professional support, fast. Our team are standing by to respond to your queries around the clock, big or small, and we’ll be there for you - 24x7, 365 days a year. HostForLIFE.eu currently operates data center located in Amsterdam (NL), London (UK), Seattle (US), Paris (FR) and Frankfurt (DE). All our data center offers complete redundancy in power, HVAC, fire suppression, network connectivity, and security. We never ever happy to see your site goes down and we truly understand that it will hurt your onlines business. If your service is down, it will certainly become our pain and we will certainly look for the right pill to kill the pain ASAP. We have included ASP.NET framework support on all our hosting plan. ASP.NET website is 100% compatible with IIS web server. You can mix your website with different languages regardless of ASP, ASP.NET, PHP or even CGI. All in one hosting plan. Our top priority to deliver the ultimate customer experience, and we strongly believe that you’ll love our service - so much so that if for any reason you’re unhappy in your first 30 days as a customer, you’re more than welcome to request your money back. Try our Free EasyGallery Hosting today and your account will be setup soon! You can also take advantage of our Windows & ASP.NET Hosting support with Unlimited Domain, Unlimited Bandwidth, Unlimited Disk Space, etc. You will not be charged a cent for trying our service for the next 3 days. Once your trial period is complete, you decide whether you'd like to continue. Build and host your own website quickly and easily. All the latest .NET Frameworks are included. Build and host your own website quickly and easily. All the latest PHP Frameworks are included. Build and host your own website quickly and easily. All the latest WebMatrix Applications are included. Build and host your own website quickly and easily. 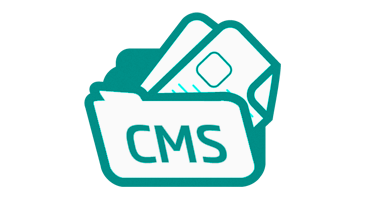 All the latest other CMS are included.